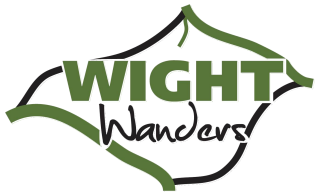 A gentle introduction to the Isle of Wight Coastal Path, with rolling landscape to follow. The trail leads you along cliff tops before descending onto the beach at Thorness bay where were your likely to see wading birds, including oyster catchers, ringed plovers and redshanks. After the Thorness Holiday Village you veer away from the coast and inland through the Newton National Nature Reserve with further bird watching opportunities on offer. Shortly thereafter, the trail makes its way back towards the coast, eventually arriving in the attractive, bustling town of Yarmouth. This section of the Isle of Wight Coastal Path is dominated by the three pinnacles of the Needles with the Old and New Batteries and the Black Knight missile test From The Needles and Scratchells Bay, the trail continues along the chalk ridge of Tennysons Down past the Tennyson Monument following chalk cliff tops past Compton Bay with its excellent beaches. before arriving in your destination of Brighstone.